The power of the algorithm allows it to produce inter-image alignments such as shown in the following gif animation. i2k Align™ includes similarity, affine, homography, planar (homography plus radial-lens distortion), cylindrical (also with radial-lens distortion) and quadratic transformation models. See xforms-and-matched.pdf. These are accurate enough to produce well-aligned images in a wide variety of situations. When local distortions and parallax are present in the images, the images will still usually be aligned, with the distortions and parallax appearing as inter-image shifts. The animation below shows three image aligned iPhone images taken at a resort in Hawaii. The misalignments due to a small change in viewpoint (and individuals walking in the field of view) may be seen in the trees and, especially, in the bushes on the front right. When multiple images are aligned, there are extra degrees of freedom in the transformations, adding flexibility to the mapping of the images. i2k Align™ uses this flexibility to undo as much of the mapping distortion as it can, substantially improving the overall appearance of the montage. The following two montages show the difference between not using distortion correction (top) and using distortion correction (bottom). Particular attention should be paid to the horizon. Due to the physical set-up of the image acquisition process, some non-photographic images contain an outer region that is outside the true image content. Automatically cropping this area is needed for clean montages, and it aids in the align process, especially for low overlap images. When this exterior region is all black or all white, the masking process is trivial, but it can become considerably harder for poor quality images (e.g. images scanned from slides). i2k Align™ offers the option to automatically compute a convex mask for images labeled "Other Modalities". DualAlign™ has developed new algorithms for automatically correcting vignetting and uneven illumination both in a single image and across multiple images. These are applied in the photographic montaging process of i2k Align™. Different settings on the same camera can produce different recorded colors and overall image intensities. Even with the same aperture and shutter-speed settings, internal correction algorithms inside digital cameras can produce different color values for the same object in two different images. This problem is particularly difficult for cell-phone cameras, which include essentially no user control. DualAlign™ has developed algorithms for camera parameter estimation, brightness correction and, to some degree, white balancing (color correction) that eliminate many of these problems. 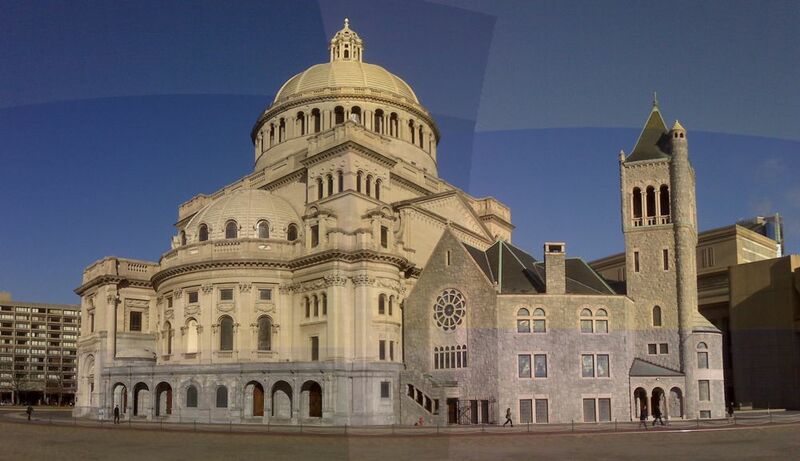 As an example, the montage below combines four images taken of the Christian Science Center using the camera on a Blackberry Curve. Notice the color transitions in the montage, especially between the bottom and top of the building on the right and in the sky. 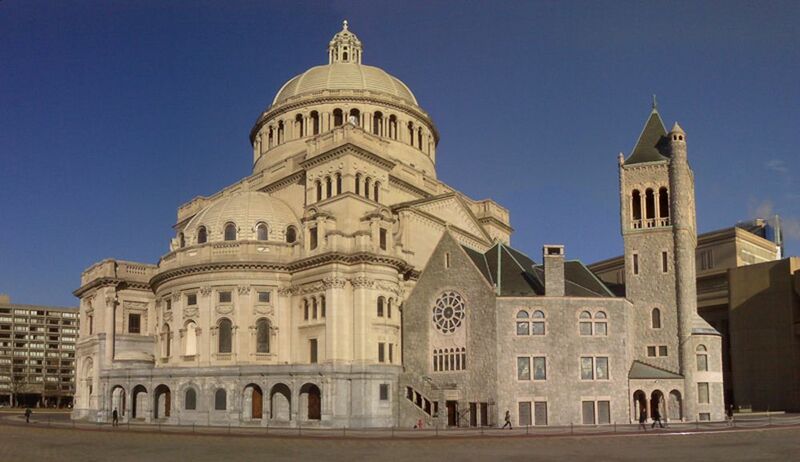 Photographers are limited in the panoramas they can build if they need to use a tripod and require a stationary scene. On the other hand, using a hand-held camera and photographing a dynamic scene requires software that eliminates artifacts due parallax and corrects for movement in the scene. i2k Align™ includes algorithms that select seams and blending regions between images based on a detailed model of the image misalignments and color differences that remain after illumination correction.We have already seen an example above where the misalignments in three images taken at a resort in Hawaii were removed to form a seamless montage. This is not limited to photographic images. The montage of six thermal images below has had the image parallax removed through seam selection.